Blue Sky BuildersSkywriters Garage BlogBuilding TipsHow Much Can Windows and Doors Save You Come Tax Time? How Much Can Windows and Doors Save You Come Tax Time? Once again, the House of Representatives (12/3) and Senate (12/16) have come together to approve taxes retroactive to 2014, just in time for Christmas. Now, this may not seem like the Christmas gift you may have wanted, but think of the consequences had this bill not passed. Yet another one-year extension, the extension will still allow homeowners to take advantage of this year’s purchases for their homes—specifically in energy efficient windows and doors. So, this means that not only will new windows and doors be one of the most valuable things you can do for your home, it may even save you some cash come tax time. An important part of the extension was the 10 percent “25C” homeowner income tax credit of up to $200 for installation of Energy Star qualified windows and skylights, and $500 for Energy Star exterior doors. Both are subject to a $500 lifetime limit per individual taxpayer. 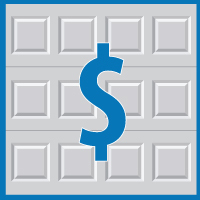 To receive this credit, homeowners must install Energy Star rated windows or doors in 2014 and fill out form 5695 to be eligible. For the entire text, please visit Legal Information Institute, 26 U.S. Code § 25C – Nonbusiness energy property. Key terms are as follows, provided by the IRS. To print out IRS Form 5965, click here. What if I Haven’t Installed in 2014? We can expect that these cuts will be in action in 2015, so if you are looking to save money come tax time 2016, be sure to get your windows and doors in 2015. Blue Sky Builders offers vinyl replacement windows for your home or garage. Coming in a wide variety of sizes, patterns, and colors, our windows are backed with an Alliance AssurancePlus Lifetime Warranty. If you’re looking for doors, we have those too. Providing top quality steel entry doors, we install doors that ensure safety and security along with energy efficiency. Contact us today to see how you can become one of our first installations of 2015!